New PowerEdge MX is designed not just for CPUs, but for GPUs and FPGAs as well. Dell EMC has launched a new line of high-performance servers called the PowerEdge MX that the company said is designed to support a wide variety of traditional and emerging data center workloads, such as artificial intelligence. 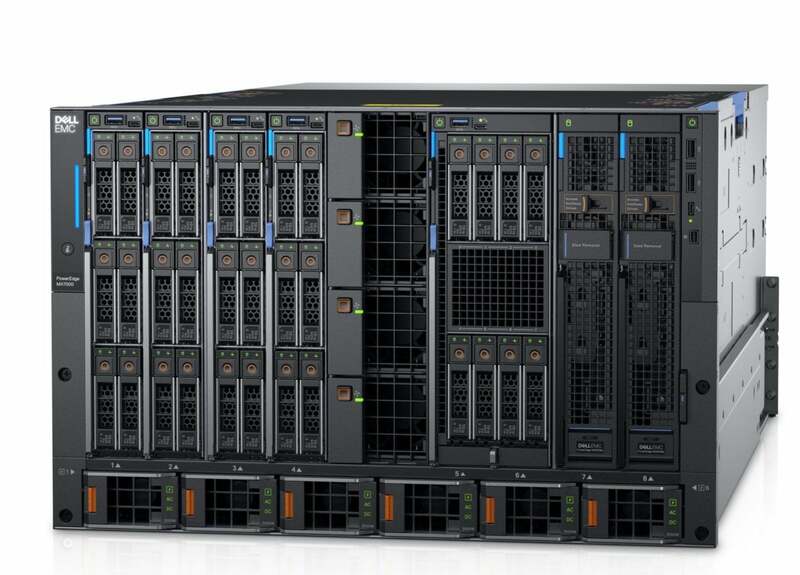 PowerEdge MX offers the first modular infrastructure architecture designed to easily adapt to future technologies and offers what Dell calls “server disaggregation.” What that means is customers can tailor configurations to their needs from shared pools of disaggregated resources, which can be changed as needed. If a company needs more or less compute, it can reprovision that resource on the fly to avoid overprovisioning and wasted assets. This is done through “resource blocks” of servers and storage that connect to the infrastructure through a smart I/O fabric and managed by software-defined computing. The PowerEdge MX is designed for the software-defined data center — able to support a combination of dense virtualization, software-defined storage, software-defined networking, artificial intelligence and big data projects. “PowerEdge MX enables a modular approach to flexibly build and combine compute, storage and networking, so organizations can transform their IT in a way that optimizes resources and offers investment protection for future generations of technological advances,” said Ashley Gorakhpurwalla, president and general manager, Dell EMC server and infrastructure systems in a statement. And Dell claims the PowerEdge MX, with its kinetic infrastructure, is future-proofed to support multiple generations of future technology releases, such as processor technologies, new storage types and new connectivity innovations, and not be obsolete by the time you install it. The absence of a mid-plane enables direct compute to I/O module connections, allowing for future technology upgrades without disrupting customer operations and without a mid-plane upgrade. This will allow support down to memory-centric devices, such as storage class memory, GPUs and FPGAs. The PowerEdge MX comes in the form of a PowerEdge MX7000 chassis, PowerEdge MX740c and MX840c compute sleds or a MX5016s storage sled, and PowerEdge MX Ethernet and Fibre Channel switching modules.